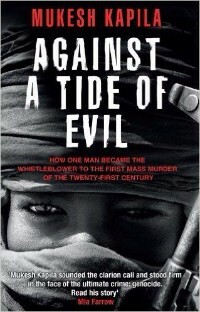 "Against a Tide of Evil" is the firsthand account of Dr. Mukesh Kapila, who held the post of U.N. resident humanitarian coordinator in Sudan in 2003 as violence took hold in the western region of Darfur. Dr. Kapila will talk about the evidence of genocide that he saw early on in Darfur and how he alerted the Sudanese government, U.N. leaders, and foreign ministries around the world, to little avail. He then chose to publicly condemn the atrocities, at great personal cost. Dr. Kapila decided to speak out about Darfur because he did not want to be a passive witness to genocide. He believed he had a responsibility to tell the stories of the people of Darfur to the world. He was also influenced by his memory of the aftermath of the genocides in Rwanda and Bosnia: In 1994, he was part of the first British team to go to Rwanda after the genocide there. This role also took him to Bosnia, where he witnessed the aftermath of the genocide in Srebrenica. Dr. Kapila is a medical doctor, humanitarian expert, and international aid diplomat. Currently a professor at Manchester University in England, he has experience in over 130 countries serving in senior positions in the British government and at the United Nations, World Health Organization, and the International Federation of Red Cross and Red Crescent Societies. His dealings with many despots in the world's trouble spots have led him to focus on the prevention of genocide and other crimes against humanity as Special Representative of the Aegis Trust. Dr. Kapila will also be the keynote speaker on the morning of March 8th at Human Rights Day at Indiana State University. The event is made possible in part by generous support from the Florence and Laurence Spungen Family Foundation and a matching grant from Indiana Humanities in cooperation with the National Endowment for the Humanities. "A Special Afternoon with Survivor Sam Harris"
Sam Harris was born Szlamek Rzeznik in Deblin, Poland, and was only four years old when WWII broke out in 1939. During the chaos of the round-up for deportation, Sam’s father pushed him out of line and told him to run and hide. Sam watched his parents and four sisters and brothers march toward the railcars. That was the last time Sam saw his family. Sam hid for two-and-a-half years in Deblin and Czestochowa concentration camps; had he been found, he would have been killed. Although an orphan when he arrived in the U.S. at age twelve, Sam was filled with hope about the possibilities awaiting him. This optimism, today still so much a part of Harris’ upbeat personality, is infectious and inspirational. 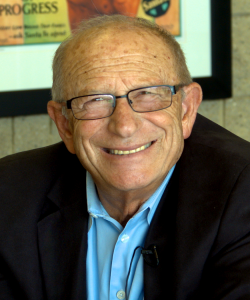 Speaking to thousands of children and adults annually, he keeps the gifts of freedom and the seemingly endless possibilities at the forefront of his life, while simultaneously honoring the memories of the millions who were murdered during the Holocaust. A successful businessman and the recipient of many awards, Sam Harris was the instrumental force behind the construction of the Illinois Holocaust Museum and Educational Center, of which he is president emeritus. This event is made possible in part by generous support of the Florence and Laurence Spungen Family Foundation and a matching grant from Indiana Humanities in cooperation with the National Endowment for the Humanities. Sophal Leng was nine years old when she and her family were forced from their home in Phnom Penh in April 1975, joining millions of Cambodians devastated by the brutal Khmer Rouge. Despite all odds, Sophal survived four years of unimaginable suffering, starvation, and disease. Today, Sophal and her husband run the Southeast Asian Childrens Mercy Fund to raise awareness of the genocide and to collect much-needed funds for children in Cambodia. 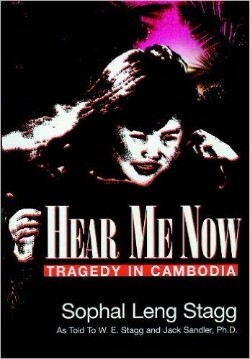 Sophal says, "I believe our story must be told by all survivors, again and again, to prevent a repeat of the inhumanities that existed during Cambodia's darkest years." 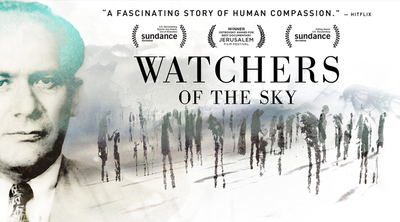 The documentary Watchers of the Sky interweaves four stories of remarkable courage, compassion, and determination, while setting out to uncover the forgotten life of Raphael Lemkin, the man who created the word “genocide” and believed the law could protect the world from mass atrocities. Inspired by Samantha Power’s Pulitzer Prize-winning book, A Problem from Hell, Watchers of the Sky takes you on a provocative journey from Nuremberg to The Hague, from Bosnia to Darfur, from criminality to justice, and from apathy to action. Soulaf Abas was born and raised in Damascas, Syria. She is an artist and art educator at Indiana State University. In 2013 Ms. Abas developed Seen for Syria, an art therapy/education program for Syrian refugee children in Jordan. 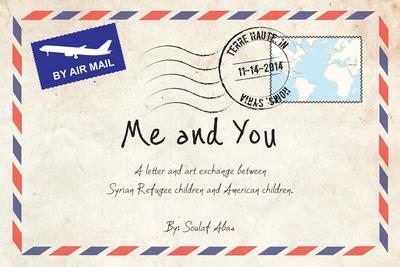 Part of this initiative has been the creation of a book, Me and You,which documents an exchange of letters and artwork between children at Ryves Hall in Terre Haute and Syrian refugee children in Amman, Jordan. The book embodies pure joy and hope and demonstrates how children on opposite sides of the world can reach out and make a difference, how they can make friends when war only makes enemies. In 2014 Ms. Abas spent two-and-a-half months in the refugee camps, working with hundreds of children to help channel their trauma into numerous art projects, such as painting murals and planting gardens in the shape of the Syrian map. Copies of Me and You are available to purchase. The cost of the book is $40; all proceeds will go to the Syrian children who participated in the creation of the book. 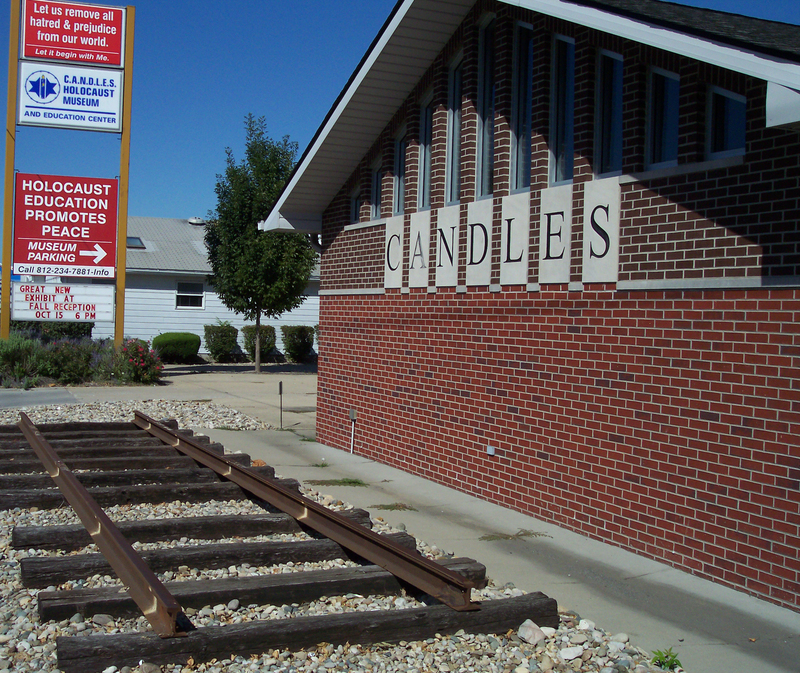 Indiana State University, in collaboration with CANDLES Holocaust Museum and Education Center, is sponsoring a week of lectures, music, dramatic performances, exhibits and films to increase awareness of the Holocaust and other genocides. Nearly 80 years ago -- on November. 9-10, 1938 -- Nazis in Germany and Austria torched synagogues, vandalized Jewish homes, schools and businesses and killed nearly 100 Jews. 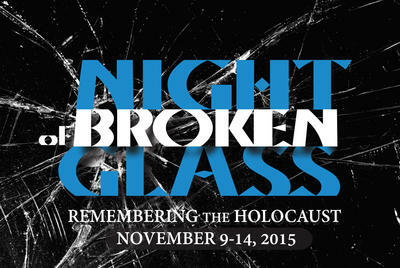 These violent events, called Kristallnacht or "Night of Broken Glass," ended with nearly 30,000 Jewish men arrested and sent to Nazi concentration camps. While German Jews had been subjected to repressive policies since 1933 when Nazi Party leader Adolf Hitler became chancellor of Germany, until Kristallnacht, these Nazi policies had been primarily nonviolent. After Kristallnacht, however, conditions grew increasingly worse. The events are seen as a turning point in Nazi Germany's persecution of Jews, which culminated in the attempt to annihilate all of Europe's Jews. CANDLES hosted special guests Mohammed Alaaa Ghanem and Shlomo Bolts. Mohammed Ghanem is the Senior Political Adviser, Government Relations Director, and Strategist for the Syrian American Council in Washington D.C. He was a professor at the University of Damascus and has been involved in the Syrian revolution since its early days as a peaceful protest movement. Ghanem has briefed U.S. government officials and policy makers in the executive branch and in Congress. 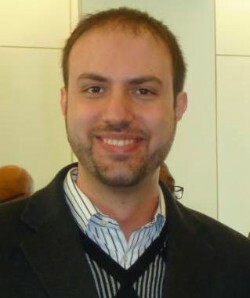 His work connects U.S. policy-makers and the Syrian American community with the revolution inside Syria. 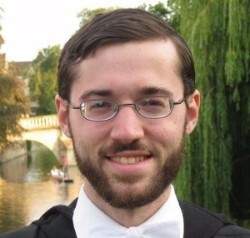 Shlomo Bolts is the policy and advocacy officer at the Syrian American Council. Mr. Bolts' family migrated to the United States from the Syrian city of Aleppo. He studied political science and sociology at Columbia University, before attaining a master’s degree in modern society and global transformations from the University of Cambridge. He has been active in the fields of human rights, defense against oppression, and Jewish-Arab dialogue throughout the past ten years. This event is made possible by the generous matching grant from Indiana Humanities in cooperation with the National Endowment for the Humanities. 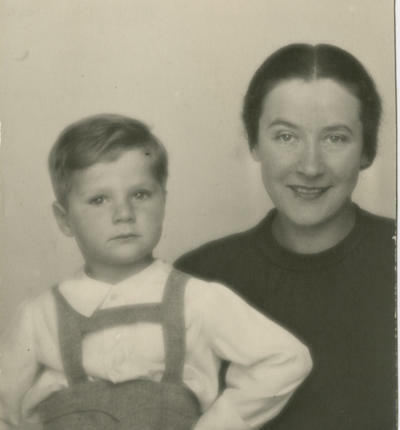 Frank Misa Grunwald was six years old when German troops entered Czechoslovakia in March 1939. In the summer of 1942, he and his family were deported to the Terezin ghetto and in December 1943 to Auschwitz. He miraculously escaped the gas chamber in July 1944 and survived four other concentra-tion camps prior to his liberation by the U.S. Army in May 1945. After his escape from the Communist regime in Czechoslovakia in 1949, he spent two years in England and immigrated to the U.S. in 1951. While exposed to some of the most horrific people, places, and events of the Holocaust, Frank was able to endure the atrocities of genocide through a love of art and music that his childhood in Prague had instilled in him. His life demonstrates the decision that all mend and women must make to devote their lives either to the creation or destruction of human civilization. The 2012 documentary Misa's Fugue tells his story. The award-winning film was edited, musically scored, and visually supported by the efforts of students at Fleetwood Area High School in Pennsylvania.